Pain treatments are sought by millions of people per day across the world. The subject of pain has fascinated me since medical school and I have developed a lifelong pursuit of interest, learning, obtaining qualifications and daily practice to find solutions for pain. 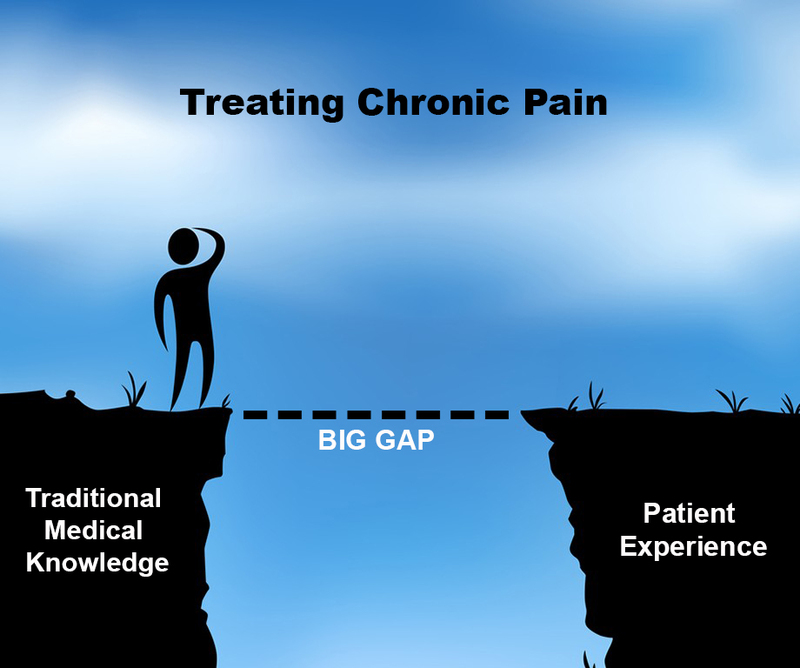 in the traditional medical model of understanding and treating chronic pain. 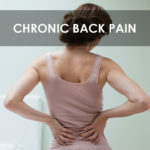 My journey for pain solutions has led me to use 3 main treatments including trigger point injections, cognitive behavioral techniques and posture correction exercises. For some patients, I advise the simple remedies of hyaluronic acid tablets and avoiding tree nuts especially almonds in the diet which may provide relief also. Trigger point injections are injections of lidocaine solution into tight tender muscle knots in the body. The muscle tissue is shortened in these areas with tenderness to touch as bands on palpation. The sinew around the muscle and through the muscle, called fascia is the main structural tissue that holds the body together on the inside. The fascia tightens and thickens with age, trauma and stress which leads to painful areas with a reduced blood flow to the small nerves which then produce pain on movement or pressure, for example when lying down in bed. By injecting the medical needle, the fascial layer is cut with small holes, thus releasing the tension and allowing more blood flow to the small nerves. No attempt is made to contact the nerves only release the fascia and muscle which has the surprising effect of reducing pain. 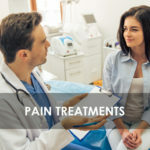 Many patients have tried a wide range of treatments, often for many years without success and they doubt such a simple technique, performed in safe hands can have success. The alternative approach to trigger point injections is when an acupuncture needle is used to release the shortened muscle bands. This technique called “dry needling” or intramuscular stimulation (IMS) is performed by physiotherapists, acupuncturists and a few medical doctors only but this has the little benefit of releasing the fascia. After 12 years of dry needling into painful muscle bands or knots, I swapped to the medical “hypodermic needle” with a cutting edge and bore down the middle to inject a solution, either saline, lidocaine or bupivacaine (local anesthetics) and found superior results with my most resistant cases. I now know the release of fascia is the key to the physical treatment of chronic pain. Soft tissue manipulation by massage therapists, physiotherapists or chiropractors is partially effective at releasing muscle and fascial tightness up to a point. The patients often experience a plateau in treatment and the further benefit is prevented. This is when the trusted medical needle can provide relief over several treatment sessions. 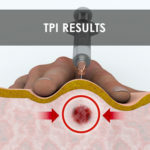 Trigger point injection therapy is an essential tool in modern day pain management therapy. Cognitive behavioral therapy (CBT) is the cornerstone of pain management these days. Multidisciplinary pain clinics have integrated this approach but often access to these are difficult with long wait lists. My simple CBT techniques are easily integrated by patients to help reprogram the brain and mind for lasting results. 1.) AUTOSUGGESTION, a technique developed by Emile Coué, a French psychologist, and pharmacist who around 1910-1926 used to this technique to reprogram the subconscious mind to obtain health benefits. towards an active daily life. If you have chronic pain, try this Autosuggestion mantra by repeating it x20 in the morning and evening. A word of warning, you must believe it for it to take effect! Whether you have had chronic pain or not, repeat the mantra throughout your day and see what happens! 2.) MINDFULNESS is now a widely accepted concept and lifestyle choice by well-informed health-oriented individuals and organizations. Decades of research stand by this proven technique to reduce pain, suffering, anxiety, depression and enhance immunity and wellbeing1. Mindfulness includes meditation, prayer and simple awareness of moment by moment experiences. I adopt the style best suited to each individual’s personality and preference. Meditation can be categorized as an INTERNAL or EXTERNAL focus. INTERNAL FOCUS includes Breath Meditation or Word Meditation. Follow The Breath Meditation is when you sit quietly and simply follow your breath for 3-5 minutes. Feel the relaxed state afterward, this will increase with practice. Box Breathing Meditation is when you inhale for 2-3 seconds, hold the breath for 2-3 seconds, exhale for 2- 3 seconds and hold for 2-3 seconds, completing the cycle. This takes more concentration and shall increase energy flow in the body. Word Meditation is when you repeat a chosen word, such as “peace”, “relax”, “release” in a monotonous tone every 3-5 seconds each exhalation in your breath cycle. This will induce a relaxed state. These techniques help form new nerve connections in the prefrontal cortex of the brain which creates positive health benefits. Internal focus of meditation is best done in the morning before your activities start when your mind is rested and most quiet. Sitting comfortably in any position is advised. EXTERNAL FOCUS includes the use of your 5 senses to focus on external stimuli. This can happen when walking in the park or outdoors, listening to the birds and sounds around you. You can focus on the scenery and allow your mind to be still. External focus can be incorporated into daily activities like shopping for food, walking to work from your car or talking to someone with intention. Health benefits come from an increased mindfulness practice on a daily basis. 3. )REFLECTION – the technique is a daily practice of reflecting on one’s current life stresses, past life stresses or internal conflicts and allowing time in your day to create a state of awareness. The simple act of acknowledging and accepting these experiences in your life past or present is how you transform then through self-compassion. Most people can do this without additional help. If you feel more help is needed, consult with your family doctor or counselor. This technique helps transform past internal negative emotions2. Good posture is something our bodies desire for optimal health. Just stand upright with bending with your hips, shoulders and head forward and feel the tension mounting. As gravity pulls you down, your musculoskeletal system pulls you up. Over time poor posture has this effect of fighting against gravity and your muscles have to work overtime to keep you upright and functioning as you go about your day. Simple exercises don’t correct posture because we have become comfortable in the way with sit, stand and walk. See if your feet are pointing out, your shoulders curved forward and the placement of your hands in front of your hips when standing relaxed. We adapt to our circumstances and poor posture is an adaption to minimise tension. I encourage patients to read Pete Egoscue’s book, Pain Free3 which outlines the theory behind good posture being a fundamental human characteristic necessary for a healthy body. Specific exercises are provided to start the realignment process of the skeletal system with muscle releases. After completion of about 2-4 weeks of these daily exercises, a maintenance program is recommended with a set of stretches and exercises. It sounds simple but essential to help the whole body return to its natural state of posture alignment. Siegel DJ. The Mindful Brain. Reflection and Attunement in the Cultivation of Well-being. Publisher W.W. Norton & Company. 2007. Lowen, A. The Fear of Life. Bioenergetics Press. 2003. Egoscue, P & Gittens R. Pain-Free. 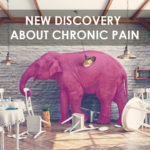 A Revolutionary Method for Stopping Chronic Pain. Publisher Bantam Books. Paperback Edition 2000.